Hello stampers!! 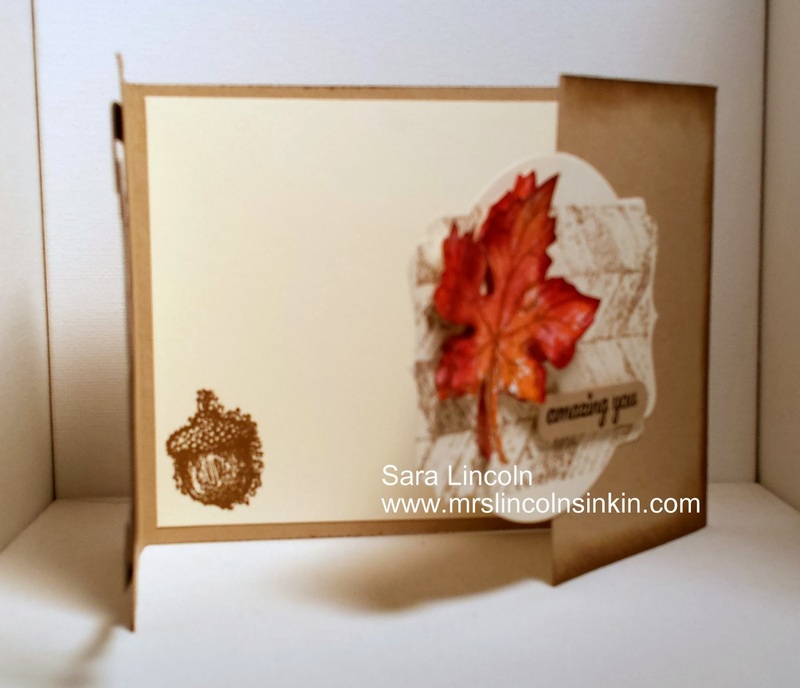 Happy Monday and welcome to Mrs. Lincolns Inkin'!! 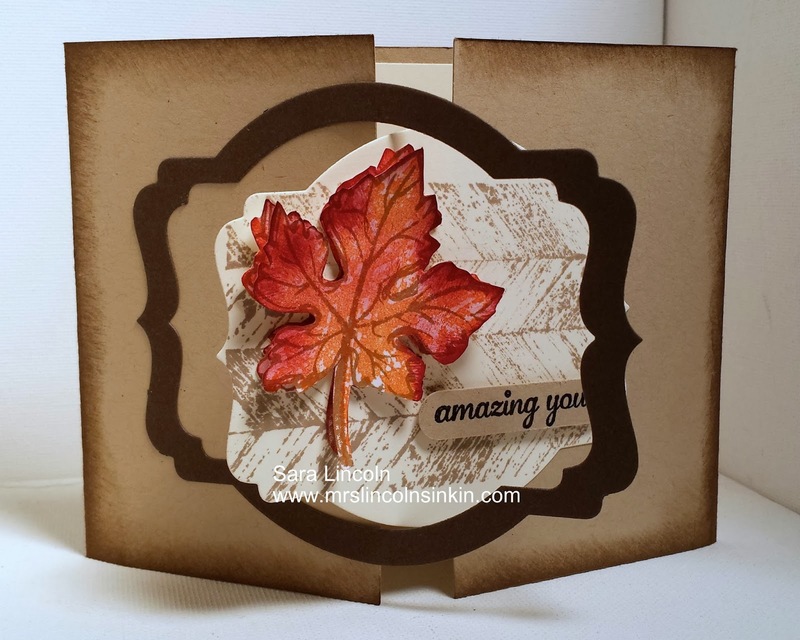 Today's share is actually a card that you may remember from a few weeks ago. I showed it for the first time in my Fun Fold Gate Card with Sara video that i showed a couple weeks ago. This card i just love so i wanted to showcase if for you today! This card opens and closes just like the other gate card, i used the Deco Label Frames on each of the cards. You can see the previous Fun Fold Gate Card HERE. 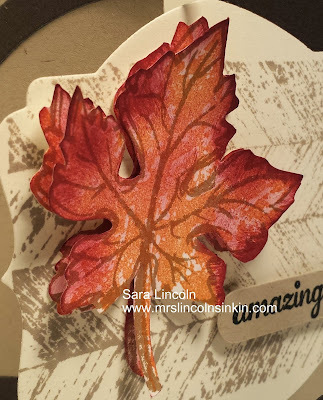 The favorite part of this card for me is the leaf. I love how it turned out!! 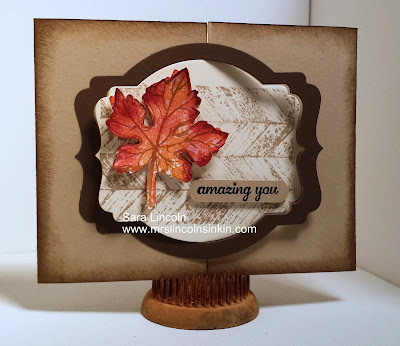 I used the Gently Falling stamp set and then used my Sponge Daubers with a few different colors... Pumpkin Pie and Cherry Cobbler and then inked up the images. I decided that i wanted my leaf to have dimension (of course) so i stamped it, inked it and cut it out twice so that i could layer them atop each other.